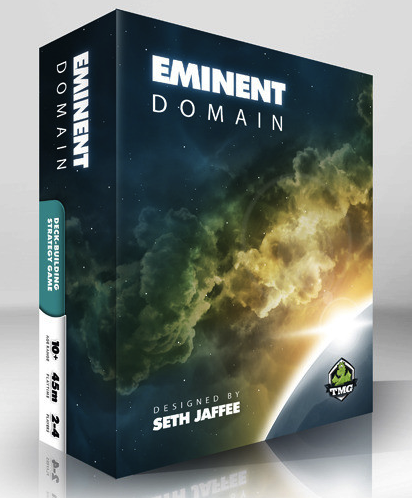 Eminent Domain (a Deck Building non-cooperative game for 2 to 4 players published by TMG) is a civilization-building game in which your civilization’s abilities are based on a deck of Role cards. At the beginning of the game each player has the same deck of cards, with just two cards for each Role in it. Every turn you must choose a Role to execute (and like Glory to Rome or Puerto Rico, your opponents will get a chance to follow suit), and in doing so you will add one of those Role cards to your deck. When executing a Role, you can boost its effect by playing cards out of your hand matching the Role you have chosen. For example, the more you Research, the better you get at Researching (because you’ll have more Research cards in your deck). Taking turns, the players execute their actions on the resources they have at their disposal. Different buildings allow players to develop different resources. Dwellings allow for more workers. Trading houses allow players to make money. Strongholds unlock a group’s special ability, and temples allow you to develop religion and your terraforming and seafaring skills. Buildings can be upgraded: Dwellings can be developed into trading houses; trading houses can be developed into strongholds or temples; one temple can be upgraded to become a sanctuary. 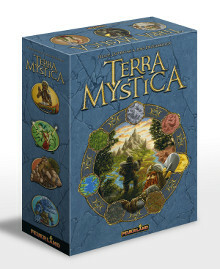 Each group must also develop its terraforming skill and its skill with boats to use the rivers. 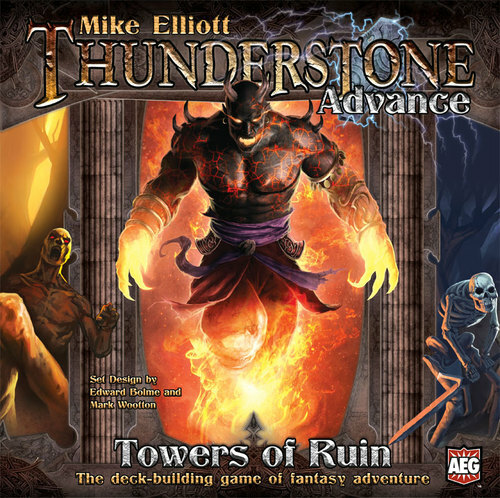 In the fantasy deck-building game, Thunderstone Advance: Towers of Ruin, you build your party of heroes to defeat the dreaded Thunderstone Bearers in their dungeons or wilderness. The player who defeats the most valuable monsters will win the day, but beware – those monsters have all-new tricks up their sleeves, and victory will not come easy.